The Investigators of Arkham Horror contains fifty-two short stories with full-color illustrations by more than forty of the industry's most talented artists. Discover the hidden secrets of the investigators who risk everything to save humanity from certain doom! 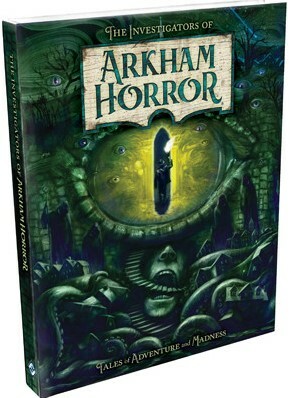 With its lavish art and haunting stories, this gorgeous, 264-page, hardcover art and setting book delves deep into the lives of the investigators from the acclaimed Arkham Horror Files games. These men and women explore those parts of our reality that lie outside of what our senses and science can perceive, often confronting beings of such unfathomable power that simply beholding them can shatter the mind. With The Investigators of Arkham Horror, the tales of these heroic men and women gain new focus as they explore 1920s Arkham, the far-flung corners of the Earth, and the strange worlds of the Cthulhu Mythos.